Steve Gavatorta can bring your event to life with his engaging style and read-to-use information. Having developed his custom-based speaking programs, through over 30-years working in Corporate America, and running his consulting, business, he is an expert at turning otherwise ordinary people into great sales people, leaders, managers and teammates. Contact us today and find out how Steve can help you provide lasting impact and value for your audience. "Steve did a Professional Development speaking engagement for the NY Chapter of NIRI, a professional association. The session was FANTASTIC! Everyone (junior and senior professionals) not only enjoyed the interactive and informative presentation but were astounded by the accuracy of their communication assessment reports. It made the participants cognizant of their communication style as well as how to interact with other communication styles-- effectively providing them with the tools necessary to be successful in both personal and professional relationships. 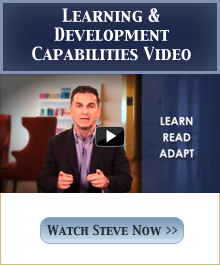 I strongly suggest every corporation and professional association have Steve Gavatorta speak on communication skills!" "We, at NYU's Center for Management, have been privileged to have Steve Gavatorta speak with our population on several occasions. Steve is very engaging, passionate about his subject, always prepared with stimulating exercises that challenge people, open and flexible to feedback from the participants and the faculty. People find Steve very approachable and the poor guy usually cant even find time to take a sip of water after his presentation, he is that popular among the audience members, each of whom wants to discuss his or her own situation." "I loved the program! I thought it was very beneficial and I look at communicating with people very differently. Steve is a gifted speaker! I like the way he tells his stories." "I really liked Steve and enjoyed his presentation. I thought he was extremely knowledgeable, a good teacher, and a good presenter." "Steve is very polished, prepared and interesting." "Steve really knew how to engage our group of company owners and general managers. Not only was he prepared with the figures on the benefits of having top performers in our companies, but he also left us with a proven method for hiring and retaining them. Steve is all about results."